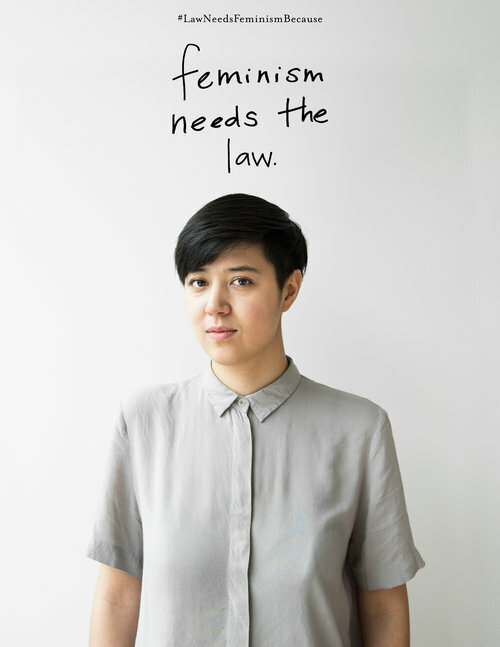 In April 2016, Rachel Kohut and Vanita Sachdeva of the Feminist Collective of McGill Law—with the help of photographer, Whitney-Lewis Smith, and designers from Log Creative Bureau (now Huot & Vallentin)—released a second photo campaign. 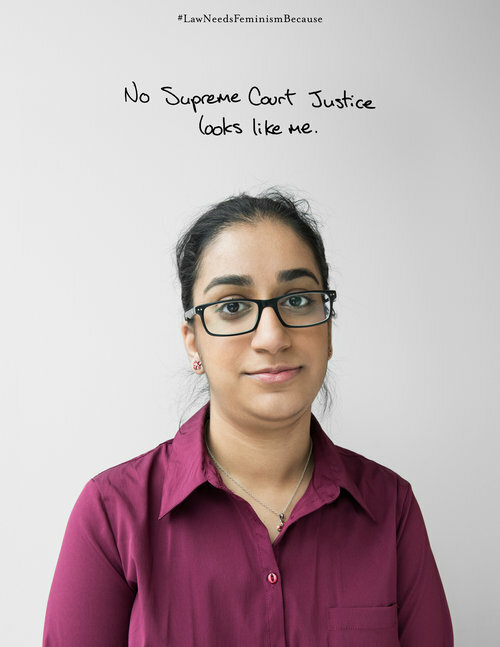 This time, the campaign was a series of 33 portraits speaking to why law needs feminism. Behind the scenes, they did not provide definitions of law or feminism. They left this up to participants. The campaign quickly went viral. In the first three days it was live, it garnered almost 500+ Facebook likes and captured the attention of CBC. They pulled off this campaign with a $250 budget and the support of their classmates and faculty. 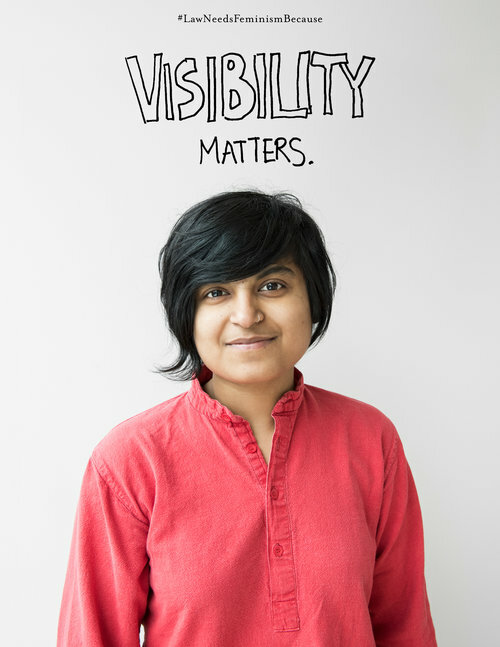 After these first 33 portraits were launched, many other law faculties, feminist legal organizations, individuals and student groups reached out to see how they could host their own photo campaign or contribute their time. In that moment, organizers realized the initiative had quickly grown beyond the walls of the McGill Faculty of Law. Since the initial campaign hit the world wide web in April 2016, 16 other law schools have joined the conversation, and many more are organizing to do the same. We also came together in March 2017 in Montreal at Sid Lee's beautiful space, 8 Queen, for our first ever national forum. Just shy of 200 feminist law students, legal professionals and lawyers united together to discuss topics of legal recruitment, alternative legal careers, mentorship and student experience. As many participants have heralded, the day was one for the books. The Feminist Collective of McGill Law hastily called their budget meeting a few days before funding submissions were due for the fall semester. Members of the Feminist Collective went through a list of possible events and projects to fund. While discussing what should be prioritized, at the top of the list to axe was the #LawNeedsFeminismBecause photo campaign—it was deemed too passé. But without having even spoken before, Vanita and Rachel both saw potential. With Rachel agreeing to spearhead it, and Vanita offering support, they left the meeting with a budget of $250 and didn’t connect again until the spring. Fast forward to March 2016, the end of the year was looming. Rachel and Vanita kicked into high gear and called in favours to pull the campaign off—friends to take portraits (Whitney Lewis-Smith), friends to design the campaign (Log Creative Bureau), and friends to participate (their classmates). But it didn’t end up being as hard as they thought. Turns out people had things to say and jumped at the chance to be involved. Before they knew it, too many people were lined up, eager to share their thoughts on why law needs feminism. For this new iteration of the photo campaign, it was decided that neither law nor feminism would be defined—Vanita and Rachel left that up to participants. During the photoshoot, Whitney also spent time with participants to make sure the expression in their portraits spoke to their captions, which many participants spent hours drafting in the hallway. She also intentionally used natural lighting and a white wall in one of the hallways of the faculty as a background. Log Creative Bureau came up with the idea of using handwritten captions to add tactility to the campaign, and thoughtfully chose Mrs. Eaves, a feminist-inspired typeface, for the hashtag. The Feminist Collective of McGill Law’s second feminist photo campaign, #LawNeedsFeminismBecause, launched on April 1, 2016. The 33 portraits went viral, garnering over 500 likes on Facebook in less than 24 hours. Turns out, the portraits resonated beyond the walls of the McGill Faculty of Law. 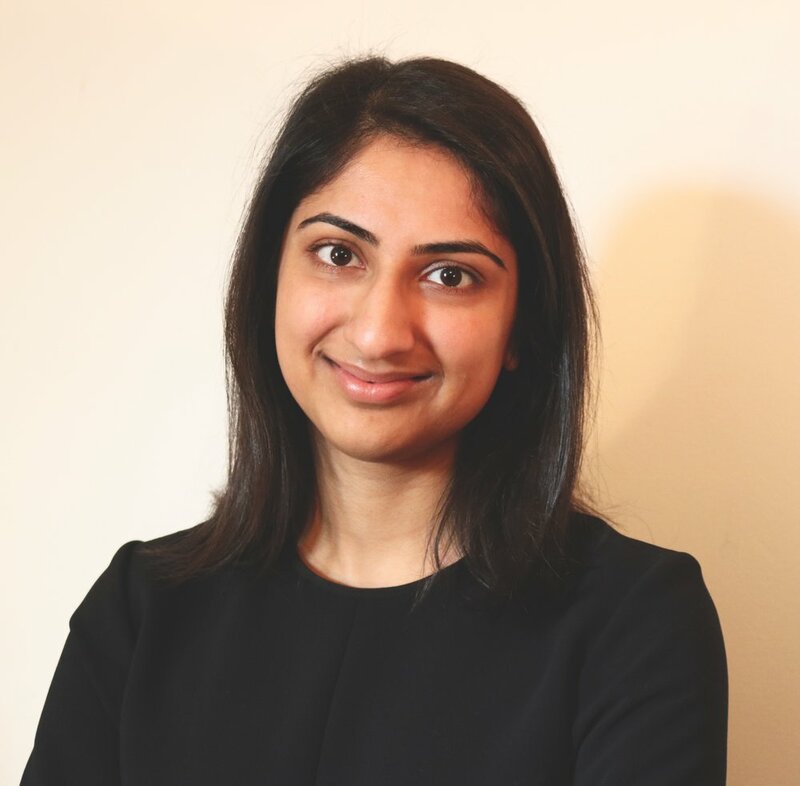 Every day thereafter, organizers Vanita and Rachel received inquiries other law students, schools, firms and organizations inquiring about how to get involved. They both quickly realized that Law Needs Feminism Because caught fire because the conversation wasn’t apparently fading as they might have initially thought. People wanted to have this conversation. They just needed a microphone and LNFB provided the stage—but the team behind the initial 33 portraits didn’t anticipate the conversation would become this loud. "Turns out the conversation wasn’t as passé as we thought – students were yearning for a venue to talk about their experiences, wanting to show their support, and students looking for mentors." "People always laugh when I tell them that I was not Facebook-savvy when I first launched the photo campaign on social media. In fact, I vividly remember asking a classmate during my Common Law Property class how to share the first posts through McGill Law’s social media channels (sorry Professor Anker). Other than the beautifully executed photography and graphic design by my dear friends Whitney Lewis-Smith and Log Creative Bureau, this wasn’t calculated. In my opinion, this behind-the-scenes story just further illustrates how much organic momentum is behind this initiative." "Looking back now, it is incredible how serendipitous life can be. Rachel and I worked together a decade ago at a part-time job during our university years. We were forging very different career paths but our frequent late night phone calls ranting about our individual challenges (and how often they overlapped) always ended with us racking our brains at how we could collaborate in some way. When LNFB was born, and Rachel asked me to participate, it was an obvious yes." "LNFB was initially created to raise voices within the legal community. The visual treatment aimed at giving the person a frame within which to share their experiences. The use of handwriting added tactility, a human touch. The type family Mrs. Eaves gives the campaign a unifying but subtle voice. Zuzana Licko designed this font as a reaction to John Baskerville’s classic typeface. Licko's typeface is named after Baskerville's wife, Mrs. Eaves, and adds a necessary interpretation to an otherwise single-minded typeface."